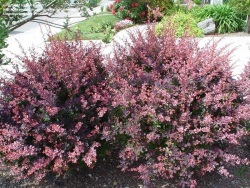 Barberry 'Admiration' is a very strong, bushy, and colorful shrub for the garden. 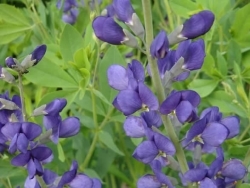 It has glossy, oval leaves that are purple-red and yellow-edged. 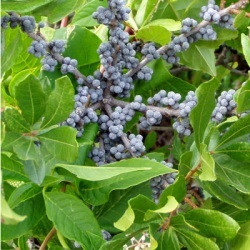 In the fall, it shows off its crimson berries and leaves. The delicate pale pink flowers appear throughout the summer. It is low maintenance and ideal for banks and slopes. Deciduous. 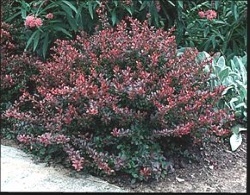 'Bagatelle' is a compact, deciduous Barberry which forms a small mound of coppery-red leaves...Best color in full sun. Somewhat slow growing. Tiny, yellowish flowers appear in late April to early May, but are often hidden by the foliage and are not considered showy. Bright red berries form in fall and often last through the winter. The berries are attractive to birds. 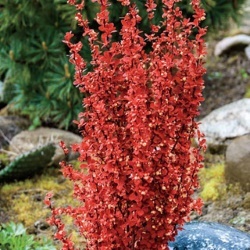 Vibrant coral-orange new foliage ages to mid-green, then turns ruby red in autumn. 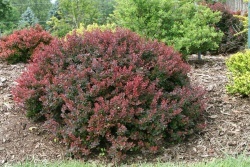 This award winning, compact, upright growing shrub has a vigorous growth habit and improved resistance to rust. 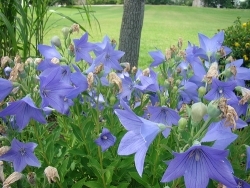 Use to brighten the landscape in mass plantings, as a specimen plant, or in a container. Deciduous. Small decidous shrub that is colorful all season. 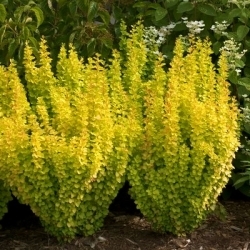 Displaying bright yellow foliage with hints of orange in summer, then turning a beautiful orange-red in fall. 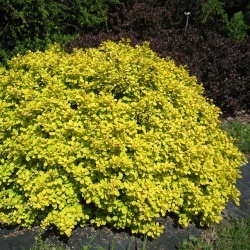 Dwarf size is perfect for a smaller landscape or in front of a shrub border. 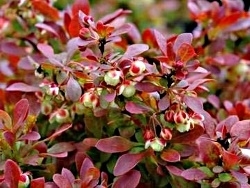 Grown for its beautiful burgundy-red foliage, this dwarf barberry will add bright, season long color to your landscape. Grows best in full sun to keep its color. Perfect for a small shrub border. Deer resistant. Decicuous. 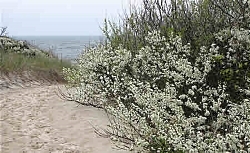 Beach Plum are exceptionally cold-hardy withstanding temperatures as low as -25ºF. This variety yields delicious, small plums that are prized for jams and jellies. Also an asset to your landscape — sprays of fragrant white flowers in spring will attract birds, bees and butterflies. 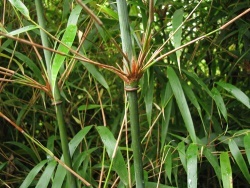 Easy to prune and harvest, and hardy enough to grow in the poorest of soils. Ripens in late summer. Plant two for proper pollination and larger crops.